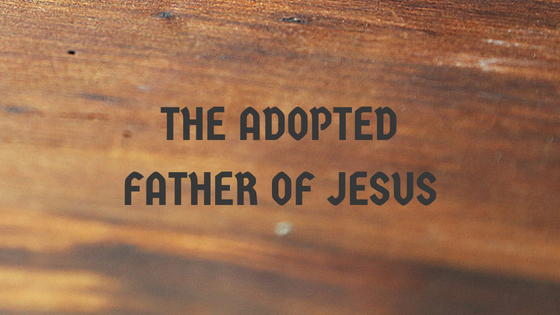 St. Joseph, the adopted father of Jesus. Joseph isn’t the saint that I know the most about, but I can relate to him. He had an incredibly human answer to the news Mary was pregnant. When we were talking about Momma Mary last week, I mentioned the Annunciation: Mary becoming the mother of Jesus after she said yes and the Holy Spirit overshadowed her. Well, Matthew discusses in his gospel how Joseph reacted. And this is where I can relate to him. In Matthew 1:19, we see Joseph’s response to Mary’s being pregnant: “and her husband Joseph, being a just man and unwilling to put her to shame, resolved to send her away quietly” (The Holy Bible Revised Second Edition : Second Catholic Edition, Matthew 1:19). Joseph’s response was completely understandable: the woman he was betrothed to had become pregnant (not by him, I might add) and he didn’t want to bring shame upon either of them. But he also didn’t want to make a huge deal out of it. So, he made sure the situation was taken care of quietly and without much fuss. But the angel wanted Joseph to do what needed to be done. After Joseph dismissed Mary, the following encounter happened to him: “But as he considered this, behold, an angel of the Lord appeared to him in a dream, saying, ‘Joseph, son of David, do not fear to take Mary your wife, for that which is conceived in her is of the Holy Spirit […]” (THB : RSE : SCE, Matthew 1:20). This is the angel coming to make sure Joseph understands what’s going on. Joseph does as the angel tells him and we can assume he took on the regular fatherly roles of the time period. But Joseph isn’t around for all of Jesus’s ministry like Mary is. When Jesus gives Mary to the disciple as his mother in John 19:25-27, it is understood that Joseph isn’t alive at this point in the narrative. If Joseph were still alive, Jesus wouldn’t have to make sure Mary was taken care of; the disciple wouldn’t have to take her into his home. How do I relate to Joseph? When Mary told him that she was pregnant with a child that wasn’t his, Joseph did the best thing he could think of. It might not have been a perfect answer, but Joseph was probably confused, hurt, betrayed, or all of the above. Yet, he did the diplomatic thing. I can relate to not really knowing what to do. I’m in that boat right now. And I’ve also been known to give diplomatic answers. I can also relate to trying to do what is expected/required of me.